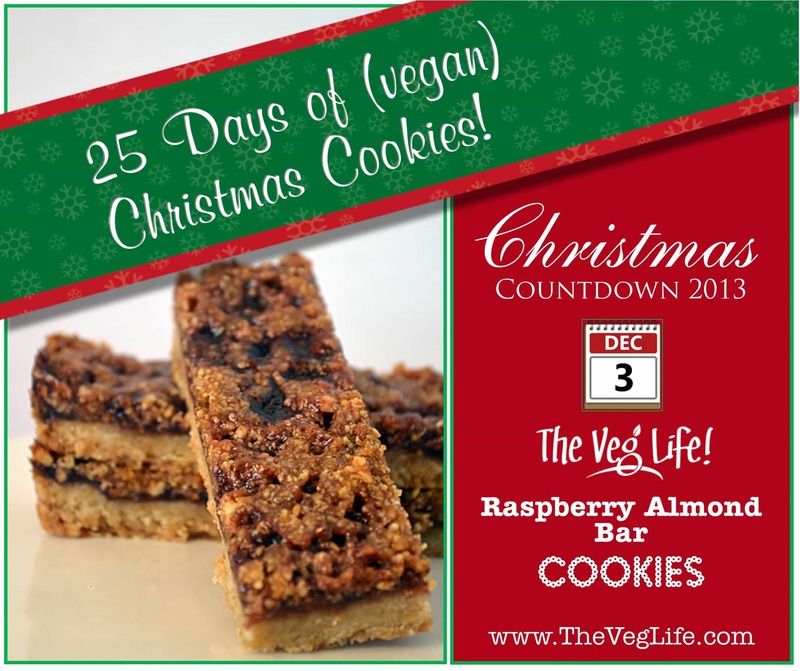 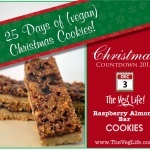 These might just win as my favorite in our "25 Days of Vegan Christmas Cookies". 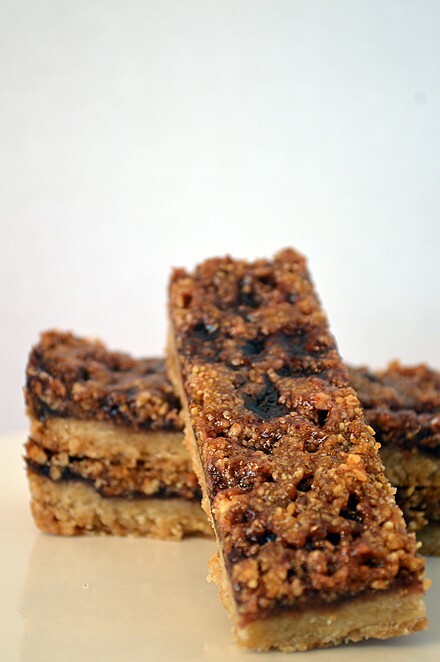 The only bar we have in the collection this year, our raspberry almond cookies are the perfect combination of salty and sweet! 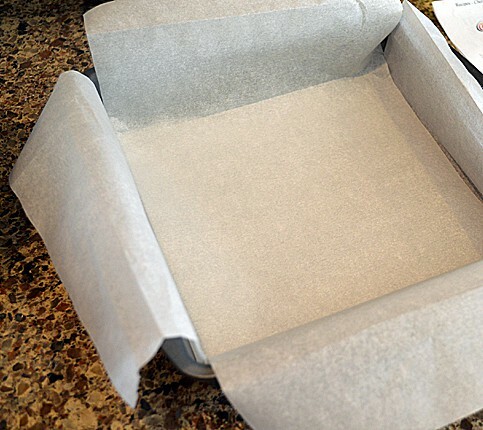 Line the bottom and sides of an 8x8" pan with parchment (or foil), extending over the edges of the pan and coat lightly with cooking spray. 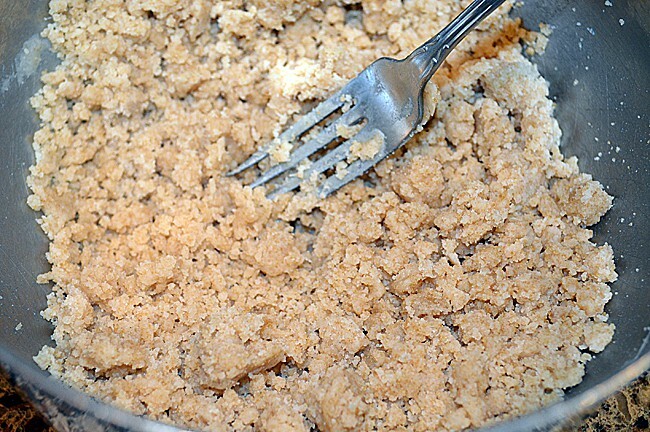 Stir together flour, brown sugar and salt until combined. 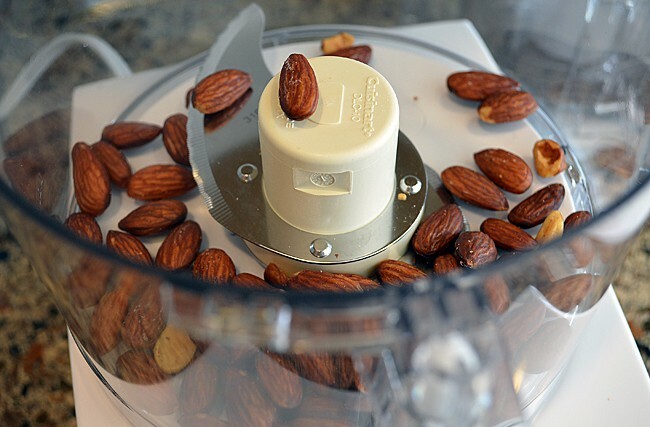 Add oil, water and almond extract. 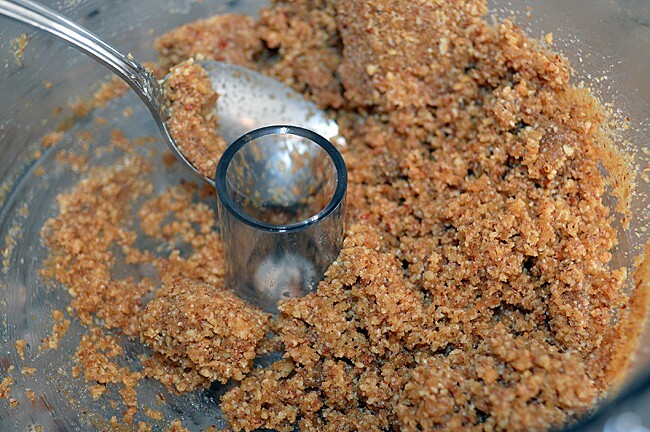 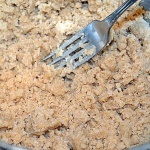 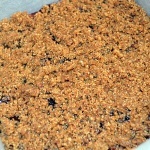 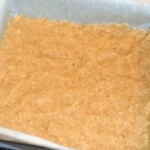 Combine with a fork until the mixture resembles coarse crumbs. 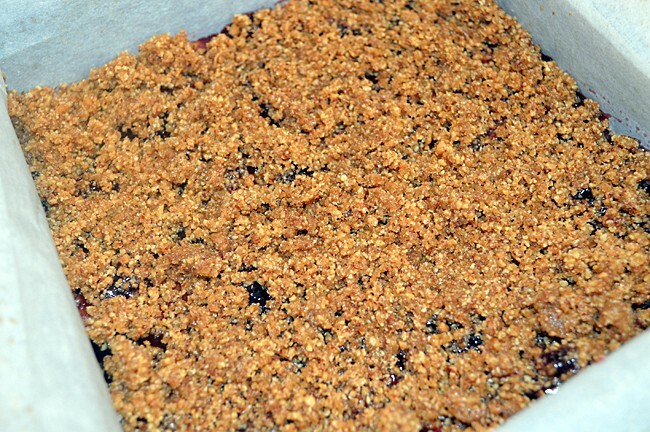 Spread preserves evenly over the warm crust. 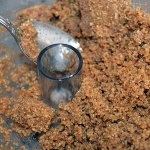 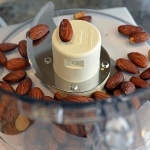 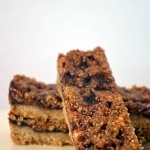 Mix almonds, brown sugar and oil until mixture resembles coarse crumbs. 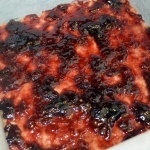 Sprinkle over the top of the preserves. 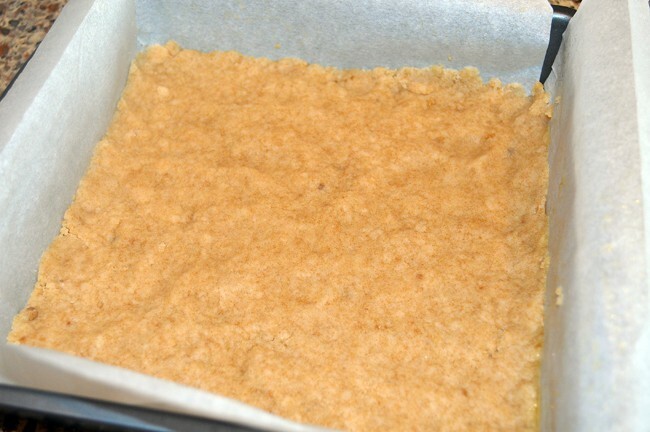 Bake for 20 minutes and cool completely. 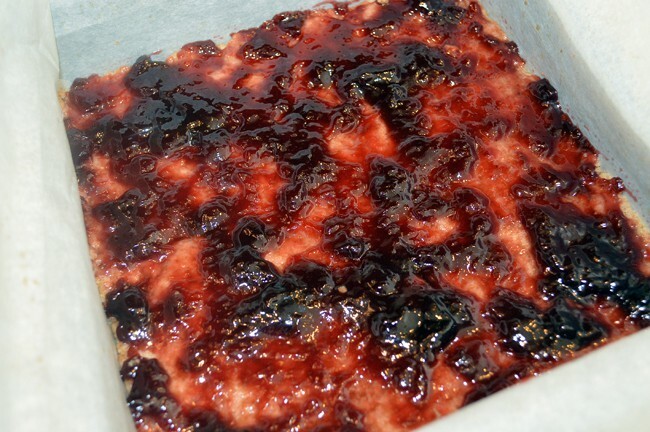 USE CAUTION, the jelly is extremely hot at this point. 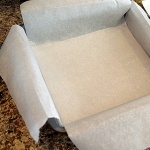 To retain shape, do not remove from pan until completely cool.